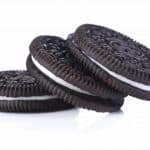 On Thursday, April 18 from 7-8 p.m. youth in grades 6-12 are invited to drop in at Chelsea District Library for an Oreo taste test. You can decide for yourself. Do Birthday Cake Oreos really taste like birthday cake? Try a variety of weird flavored Oreos and their counterparts, then vote on the best and worst ones.